It might seem that these days kids are more interested in spending time on their screens, rather than being outside. The problem with iPads and tablets is that kids become absorbed in playing games, rather than outdoor play activities, and often to the extent that it becomes the only thing they want to do to relax. So how can you encourage kids to spend more time outside? For kids to want to spend more time outside, it has to be fun! If you are out on a walk, or playing in the garden, it helps to have outdoor activities for children to do. 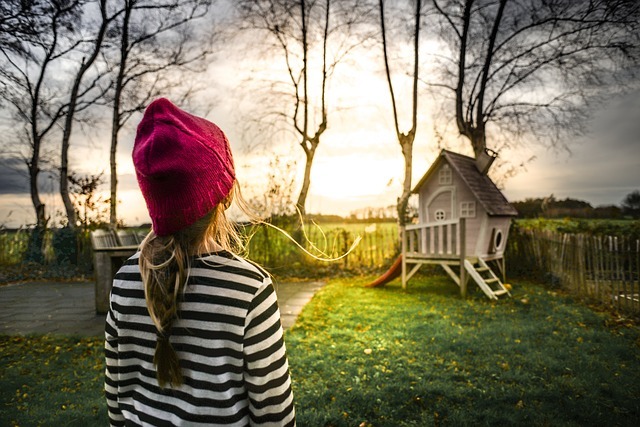 Being outside is a fundamental need for all of us, and especially important for children who are developing lifelong habits. Playing outside means children get the physical activity they need to stay fit and healthy. It also helps them develop a love of nature and the environment. Kicking a football, throwing and catching, or hitting a ball with a racquet are outdoor activities that kids can play together, with you, or by themselves. If you live in a quiet street, a game like ‘kerby’ where a football is aimed at the kerb in order for it to bounce back to the thrower is addictive and fun! Get a selection of different sized balls for children to play with outside, or to take to the park. To encourage garden play, provide a choice of different toys to encourage exercise. This could be skipping ropes, a trampoline, balls, space hoppers, pogo sticks… you name it, kids will love playing with it. Another outdoor activity for kids is to create a piece of art using nature. It could be a leaf picture, building a home for insects using twigs and plants, or decorating rocks with colourful paints. Making a miniature garden in a shallow tray and using materials like moss and stones is also a fun activity for children of any age. 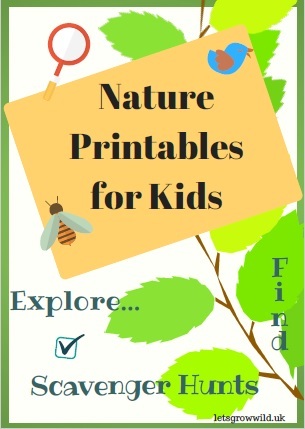 Find printable activity sheet to give children a challenge to do while outside. Things like scavenger hunt printables are great to keep children busy, as they find items from a list and tick them off their sheets. See my own printable nature worksheets for some fun things to do outside, like encouraging mindfulness by tuning into our senses, plus creative activities like hedgehog art and bark rubbing. Get a bag of compost and a few pots and let children plant their own seeds. It could be easy to grow flowers or vegetables, and once children have invested their time into planting and watering, it is great to see the rewards. Some of the easiest vegetables to grow are courgettes, which give a great yield just planted into a border and watered regularly, or you could try tomatoes or even herbs. 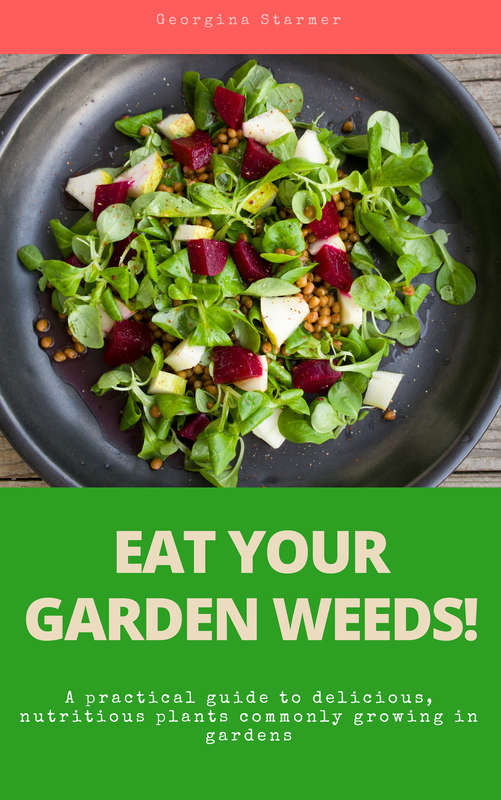 Read more about fruit and veg that require little effort to grow here. Allowing a child to lead the way on a walk, or choosing what outdoor activity they’d like to do helps them feel like they have more control over their play. Be it a bike ride, scooting, or playing tag, if a child has chosen to do the activity for themselves, they are more likely to enjoy it and want to spend more time outdoors. Encouraging outdoor activities for children is important, as it helps them to develop healthy habits for the future. The more they become interested in playing and spending time outside, the more they will want to do it. Often, if you lead by example, children will follow. 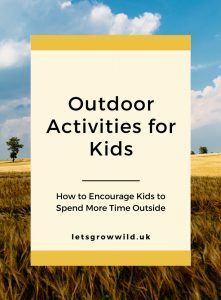 So get out there in the elements and fresh air, and see your children enjoy themselves and develop a love of the great outdoors! What of outdoor games do your kids like to play, or what did you play when you were young? Add your comment below. If you love the great outdoor, join the mailing list for new posts and ideas on getting out there!